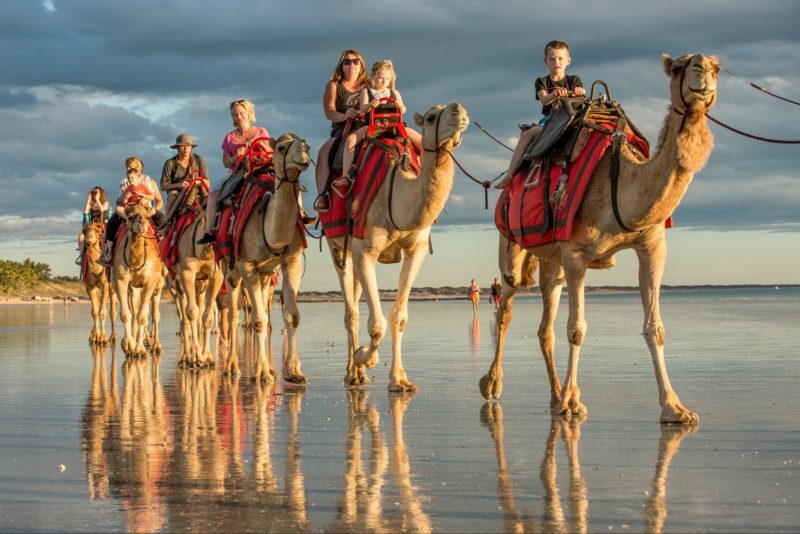 Situated on the site of the former landmark Mariner Hotel on Chapman Road in Geraldton, the Broadwater Mariner Resort Geraldton is located 50 metres from the beautifulChampion Bay and the magnificent Indian Ocean, an area that’s a favourite among the locals. Select between studio, one or two bedroom apartments. All rooms feature high speed internet access, large liquid crystal display digital televisions, king size pillow top bedding and elegant interior design. For the longer stay or larger family, a selection of one, two or three bedroom apartments will cater for your every need. Full size refrigerators, the latest stainless steel ovens, microwaves and hotplates provide you with dining options to suit your schedule during your stay in Geraldton. It’s a 30 minute walk to Geraldton’s new marina and the town centre. At the marina you can indulge at some of the mid-west’s best cafes, restaurants, bars and shopping. At the end of the day it’s a leisurely walk back to your own piece of paradise at the Broadwater Mariner Resort Geraldton. 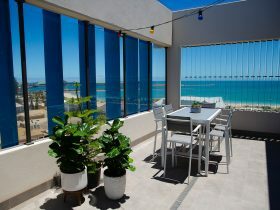 Broadwater Mariner Resort Geraldton is a five hour drive or hour and a half flight from Perth. Each of the three bedroom apartments come equipped with large high definition liquid crystal display televisions, in dial direct telephones, high speed internet access, luxury king size pillow top bedding, complimentary Foxtel and secure car parking. 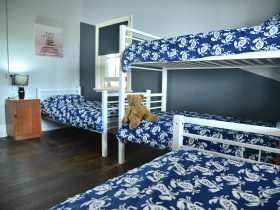 The apartments also feature full size refrigerators, the latest stainless steel ovens, microwaves and hotplates provide you with dining options to suit your schedule during your stay in Geraldton. 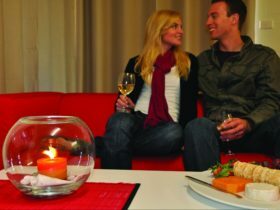 Each of the one bedroom apartments come equipped with large high definition liquid crystal display television, in dial direct telephones, high speed internet access, luxury king size pillow top bedding, complimentary Foxtel and secure car parking. 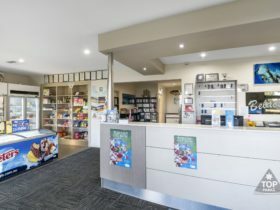 The apartments also feature full size refrigerators, the latest stainless steel ovens, microwaves and hotplates provide you with dining options to suit your schedule during your stay in Geraldton. Each of the two bedroom apartments come equipped with large high definition liquid crystal display televisions, in dial direct telephones, high speed internet access, luxury king size pillow top bedding, complimentary Foxtel and secure car parking. 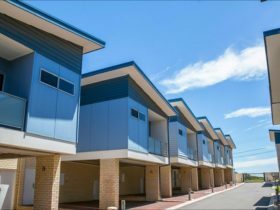 The apartments also feature full size refrigerators, the latest stainless steel ovens, microwaves and hotplates provide you with dining options to suit your schedule during your stay in Geraldton. 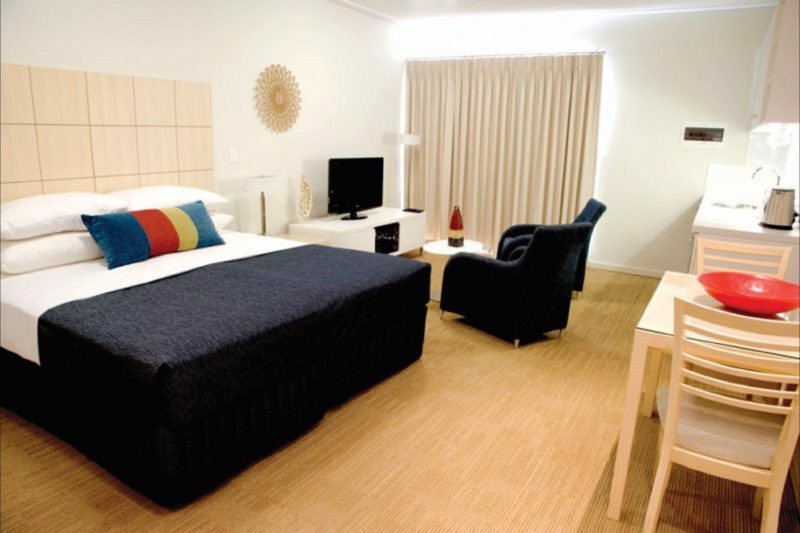 Spacious and elegantly decorated the Broadwater Mariner Resort sets a new standard for accommodation in Geraldton. Each of the studio apartments come equipped with large high definition liquid crystal display television, in dial direct telephones, high speed internet access, luxury king size pillow top bedding, complimentary Foxtel and secure car parking.